Steven Birenbaum is a senior communications officer at CHCF, where he works to promote the foundation’s efforts to improve care at two of the most critical phases of life: the beginning (maternity) and end (serious illness/end-of-life care). An experienced grantmaker, he sets strategy for the foundation’s investments to strengthen health care journalism in California. Prior to joining CHCF, Steven was executive writer at Blue Shield of California, where he wrote speeches, presentations, op-eds, and byline articles for the CEO and senior executives, and helped produce the company’s annual report and monthly internal communications newsletter. Previously, he was a senior writer and account manager at Chandler Chicco Agency, a public relations firm, where he provided product promotion and issues management support to leading pharmaceutical companies. His work has been published in The New York Times, Newsday, Stanford Social Innovation Review and KQED Radio, among many other news outlets. 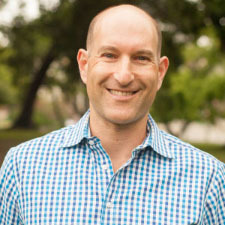 Steven received a bachelor’s degree in political science and history from the University of Wisconsin-Madison and a master’s of public affairs from the LBJ School of Public Affairs at the University of Texas, Austin.